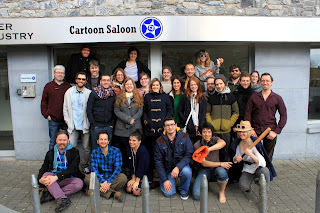 Thanks to The Secret of Kells , I've had some interesting paddys days these past few years, and this year Nora is in Rome where it's screening and Paul is in Dingle , I believe it also screened in Dublin in the Ifi. I'm delighted its still being shown around the world in connection with our national holiday. 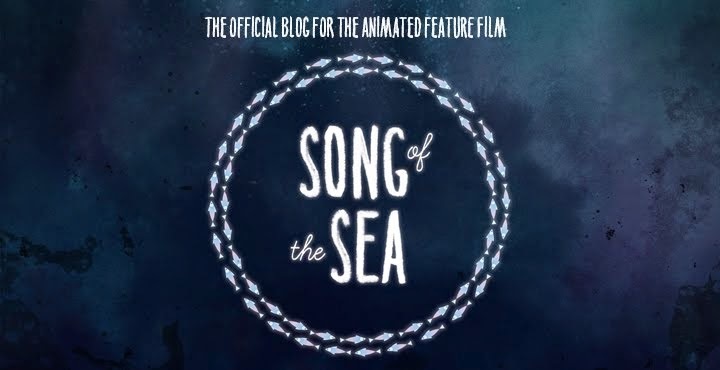 I hope Song of the Sea is similarly adopted as a positive animated view of Ireland. 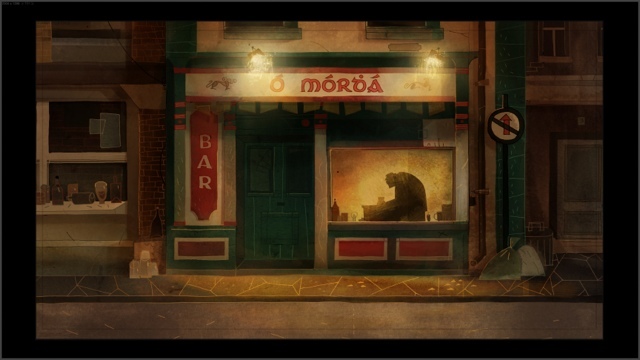 It's set in much more modern and less romantised times than The Secret of Kells though but I think we are showing Ireland as It was in the 1980s and as it still is in some parts. Some gorgeous bgs have been done of Dublin landmarks and of old Ben bulben , Donegal and even the midlands . But it's the little details of the country that I'm excited to include, the everyday sights that are so familiar to us living here that they become mundane until they are seen on postcards or in touristy promotional material. I guess for better or worse its the pubs of Ireland where most of the paddys day celebrations take place.